US Airways Express - Air Wisconsin Air Wisconsin Airlines is a regional airline based at Appleton International Airport in the town of Greenville, Wisconsin, United States, near Appleton. Air Wisconsin previously operated US Airways Express service on behalf of US Airways prior to becoming an American Eagle regional air carrier. 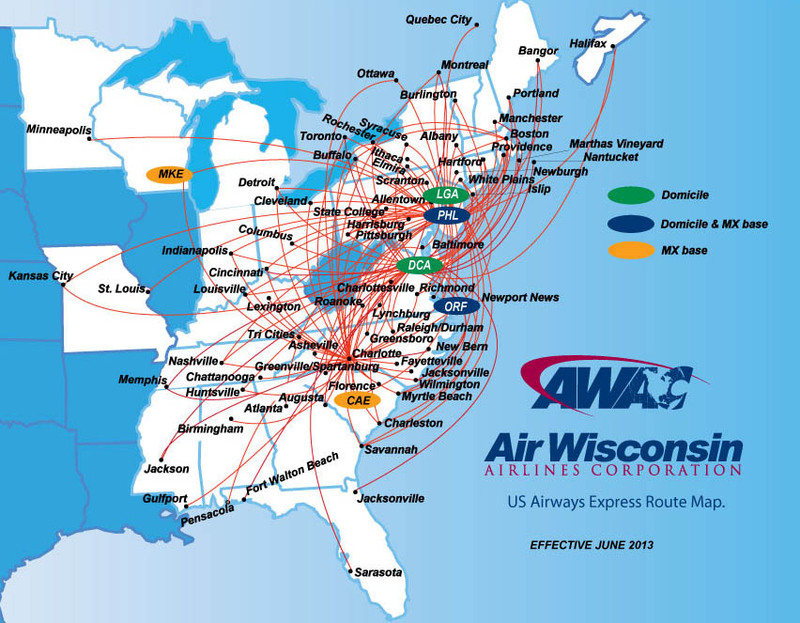 As of March 2018, Air Wisconsin operates exclusively as a United Express regional air carrier with primary hubs to located at Chicago O'Hare International Airport (ORD) and Washington Dulles International Airport (IAD).